Cloud computing has become all the rage among businesses, but for what reason? First and foremost, Xero cloud accounting offers loads of user-friendly features to users. With just a small and fixed monthly subscription fee, you can enjoy the functions in Xero such as creating and sending invoice online, recording expenses claim on the go and viewing different financial reports etc., much unlike traditional accounting through which only the accountants have access to the software. Through cloud computing, all financial information and records are made available to you 24/7, from anywhere in the world with an Internet connection, whereas traditional accounting software or staff are not as accommodating in this aspect, greatly restricting your mobility. 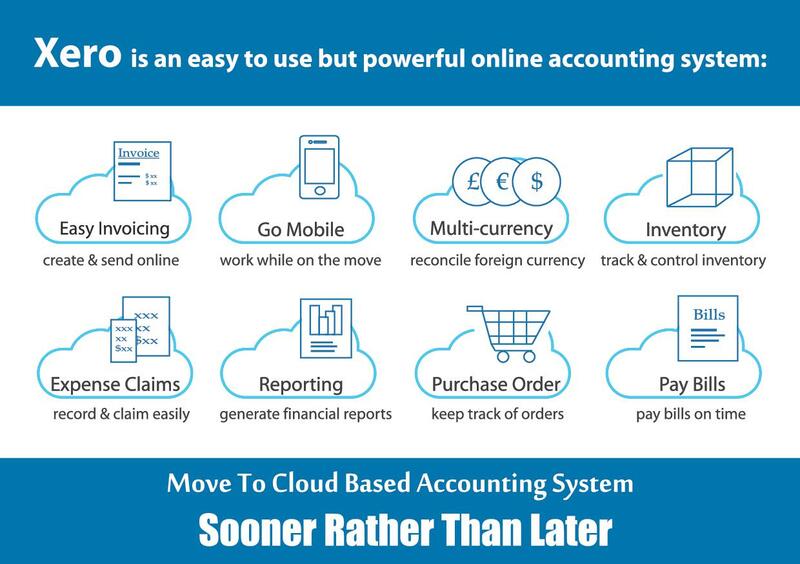 In this age of globalization, cloud accounting allows employees to work remotely and share your selected financial information instantaneously with business partners. The Xero Mobile App allows you to manage and view the company’s financials on the go. While you may worry about the leakage of sensitive information from faulty wireless connection, Xero implements state-of-art security measures to protect your private information, including strong encryption, tracking functions, and access controls. For more information, please visit Xero’s webpage about security. Cloud-based accounting systems are, above all, reliable in their service, and serves to streamline your financial management procedures. Xero provides information updates in real-time, and automatically backs up and restore your data. As a Xero silver partner, Primasia offers assistance to businesses looking to transition from traditional accounting to Xero online accounting, and provides Xero training to let you familiar with different features in Xero. Contact us today to learn more about Xero and its services!